Make a Splash, the Pools Are Open! Mayor Nutter held a press conference to celebrate the opening of Philadelphia's pools on Wednesday. The pools are open! 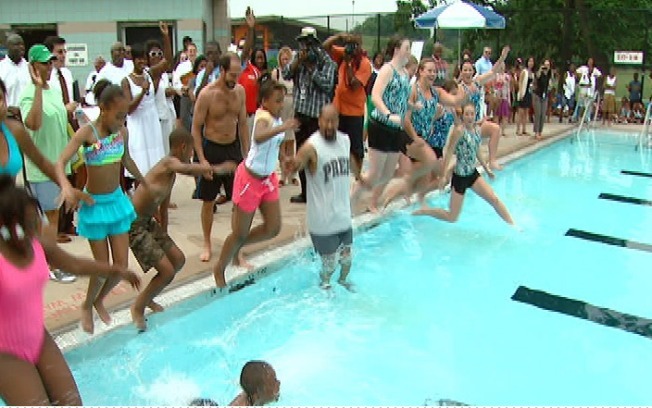 All City residents can beat the heat this summer with the official start of swim season. Mayor Nutter celebrated the opening of 70 city swimming pools on Wednesday. He praised the Splash and Summer FUNd, which finances the 70 pools. First Niagara, a financial group was able to rally 25 companies to raise 88 percent of the $600,000 goal. Recreation centers, local groups and individuals were able to come up with the leftover 12% of funding.